Project Zero is a classy outing into survival horror armed with nothing but a camera! 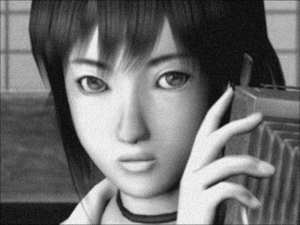 Released in Japan and America titled Fatal Frame, Project Zero is bound to captivate and scare the pants off gamers. You play the role of Miku, a young girl who is looking for her brother who she has had a premonition of being in danger. She sets out to explore ancient Himuro mansion (the whole game is set in Japan) to find her brother or at least some answers. Miku is different from most people, having been blessed with a sixth sense that allows her to see things that other people are unable to, such as spirits and the like. Add that to the fact that she also has a camera with the ability to see otherworldly objects as well and it is a potent combination. Your camera is your only weapon during the game and it's used to capture the spirits during combat with them. The camera is equipped with a cross hair and the longer that you can hold the ghost in the cross hair for before taking a picture, the more damage the photo will do to the spirits. There is film that you can used around the mansion, however it is there in small amounts so care must be taken when using it. 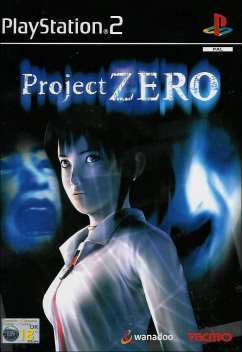 Project Zero is genuinely frightening, following the lead of Silent Hill with a 3D approach in it's presentation which looks fantastic. Also the game's camera is a lot more free roaming and not stuck to awkward angles as has happened in the Resident Evil series in the past. The controls are well mapped out on the PS2 controller and Miku is easy to move about the eerie mansion. Be sure to use the camera a lot more than you would think necessary. 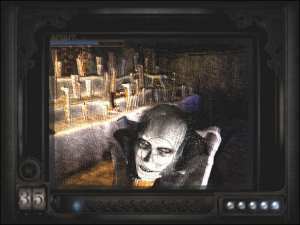 The camera can see hidden doors and other trinkets besides the dead, though you might be so jumpy playing this game that you wish to avoid using the camera for anything other than combat. Bad move and one that will guarantee that you do not make it through the game. Using the camera moves the title into a first person perspective and is scary as from this viewpoint you feel very vulnerable and unprotected whereas in third person there is a sense of detachment. Audio plays a huge part in the game also and contributed equally in scaring me when playing the game. I love games like this that can affect me on this level, that's how I felt about Silent Hill 2 as well, whereas all the Resident Evil series failed to truly be scary in my opinion. I mean, what is there to be scared of when you can see your assailant all the time and they are slow and stupid. Don't get me wrong, Resi doesn't fail as a game series, I just equate it more to a B grade Zombie flick as opposed to something truly scary. Graphically Project Zero is a delight to look at. 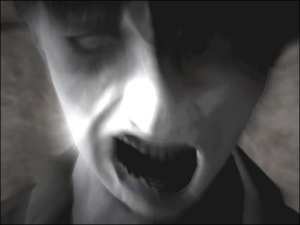 Ghosts look horrifying, especially when viewed through the camera's viewfinder. All sorts of effects are used to ensure that this scare fest is one that you will enjoy for quite some time. The mansion is replete with all sorts of realistic detail and is a believable environment for the actions that are taking place on the screen. Have you heard of this title before now? Probably not... Project Zero exudes such class that it's almost criminal the absolute lack of promotion it received from the publishers. If you want a good, no make that very good, scare then this is the title for you. Heartily recommended.